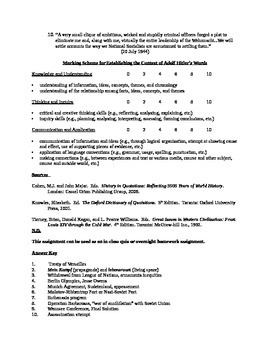 The purpose of this exercise is to connect significant events in the history of Nazism with Hitler's speeches or writings. 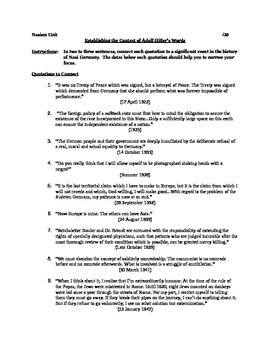 Students are assigned ten quotations, which they then must put into historical context. This exercise can be used as an in-class activity or homework assignment.